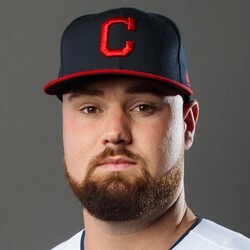 Logan Allen was pounded for six earned runs in just 2/3 of an inning on Sunday versus the Cubs. Allen surrendered six hits without issuing any walks. The 21-year-old simply didn't have it today, which could end his bid to win the team's fifth starter job. That honor will likely go to Cal Quantrill. Still, Allen should get some starts at some point this season.